Check out what our DDES Dolphins have been working on! Our 5th graders used Padlet to reflect on Dr. King's message and share their own dreams for a better world. They wanted to share their Padlet with the Smithsonian Institute's National Museum of African American History and Culture for Martin Luther King Day. Our 2nd grade Dolphins learned about Suzy Kline's series, Horrible Harry - and wanted to spread the word about what an awesome series it is! They read the books and created commercials to introduce everyone to the characters in the books. One 2nd graders has already read the ENTIRE series! 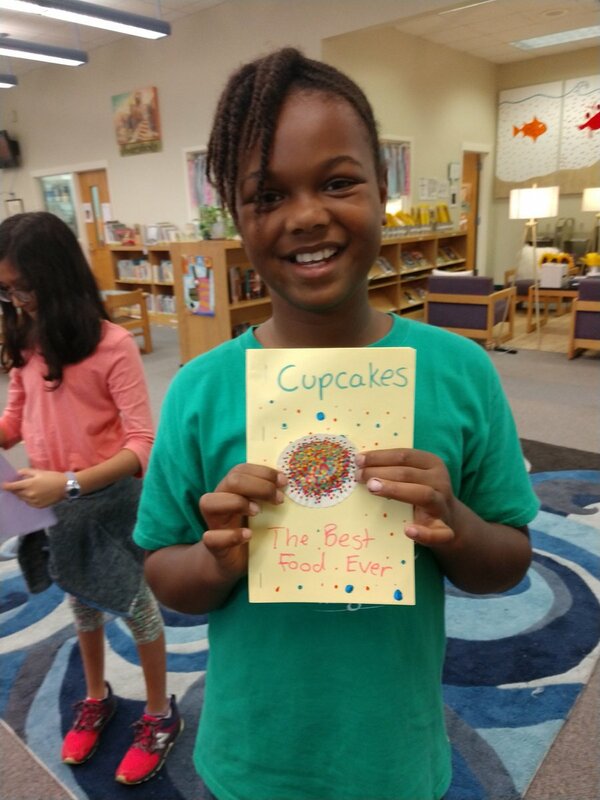 Our DDES authors and illustrators were inspired by author Celia C. Perez's book, The First Rule of Punk, and by Skyping with the Queen of Zines, public librarian Ziba Perez Zedhar, to create their own zines. Ziba is adding their creations to the zine collection at the Los Angeles Public Library! ​"It works! We got it to work!!!" 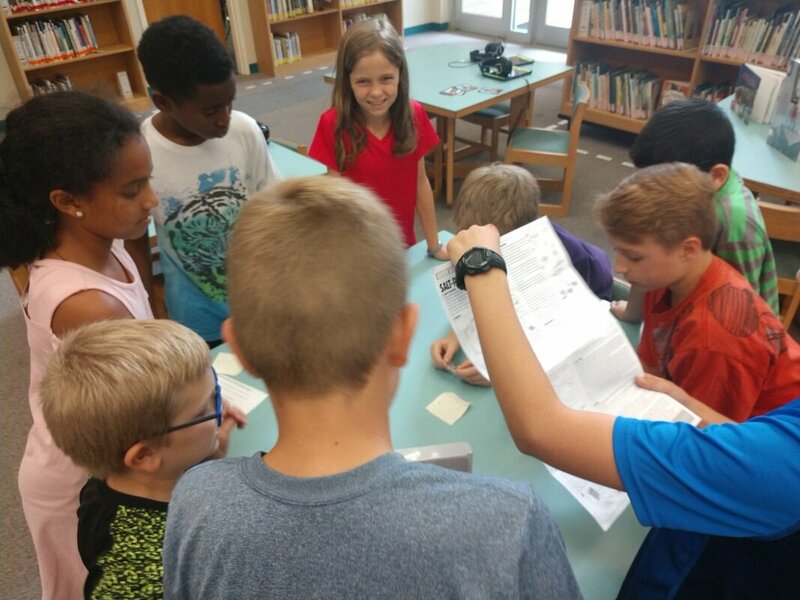 Our 5th graders worked together to get our Nobel Museum salt-powered robot do its tricks! 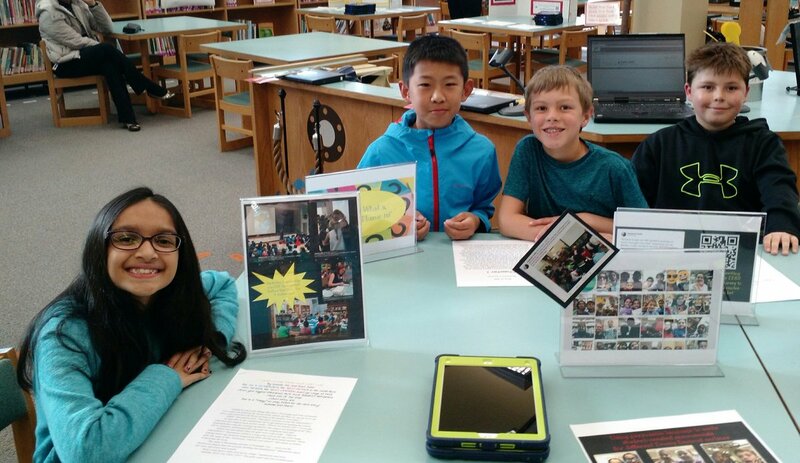 ​2nd graders researched important historical figures and "brought them to life" using the Morfo app! "Stegosaurus is my favorite - he's so spikey!" Our kindergarteners got up close and personal with dinosaurs using Google Expeditions augmented reality. 3rd graders learned about the zero gravity conditions in space and designed exercise equipment to keep astronauts fit. 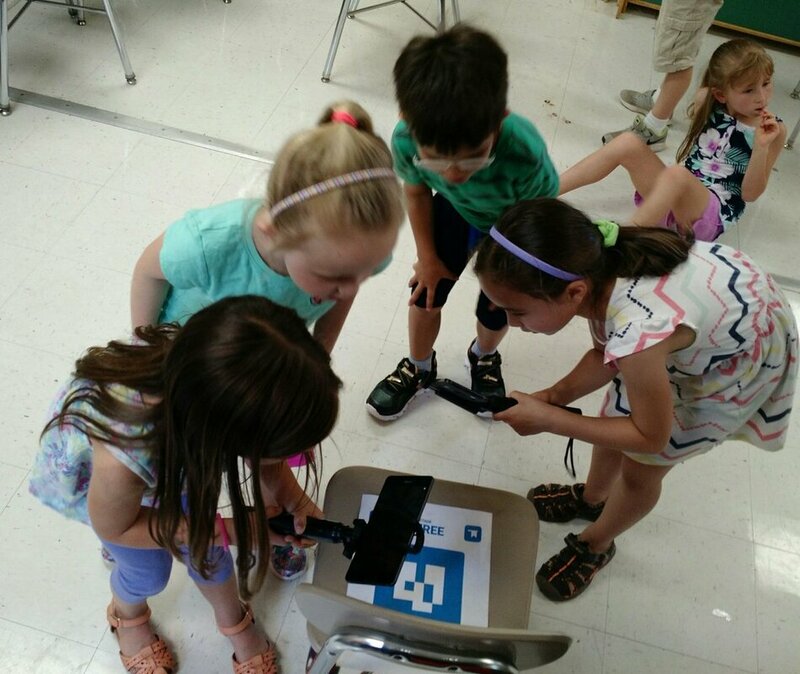 Using a stop motion video app, they demonstrated how this equipment could be used.